ShieldTracker is an application developed for tracking the inventory and status of your lead shields. It streamlines and organizes your radiation protection shields testing process that is required by the Joint Commission. No longer do you need to hand write results of your testing and then import them into spreadsheet format. 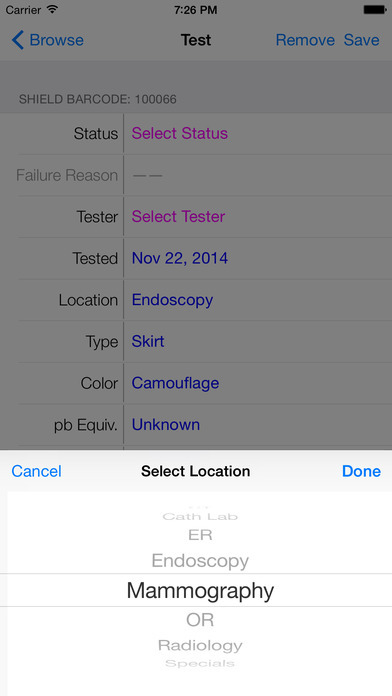 This application has all of the most common values for relevant information utilized to identify your radiation protection shields, yet is customizable to meet your specific needs. Your records may be printed from the app, exported to an additional device via email, or shared utilizing most file sharing programs available. For example, if you have Dropbox, you can easily export to one of your folders. 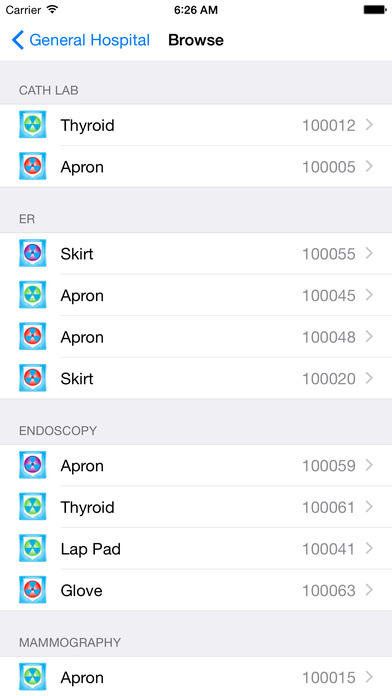 The app includes a built-in barcode scanner to quickly add radiation protection shields or if circumstances require, the barcodes can be manually entered. 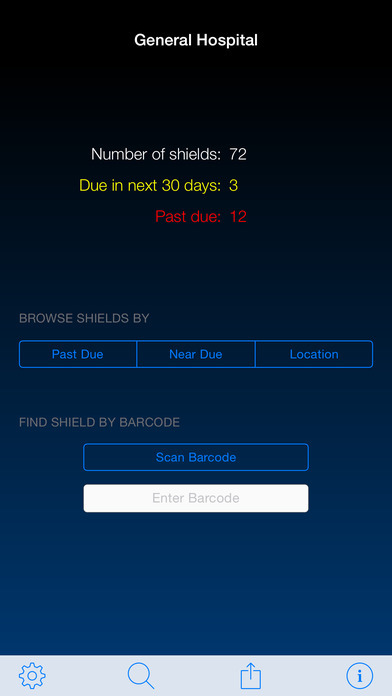 Additionally, the app notifies you when a shield is due or past due for testing. 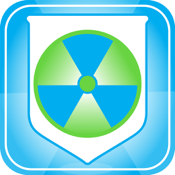 Conveniently, located within the app is a Xenolite shield catalog for your radiation protection needs.